I was reading some blogs today and saw a thing to take a test to see which breed of horse I would be. 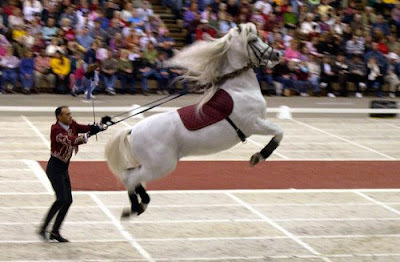 One of the tests said that I would be a quarter horse. Steady, reliable, strong, and versatile blah blah. All some traits that I can see in myself. Then the next test I took said that I was an andalusian. I'm a beauty but also gentle. I'm intelligent and open to new things but my passivity leaves me vulnerable. I can agree on some of those qualities. 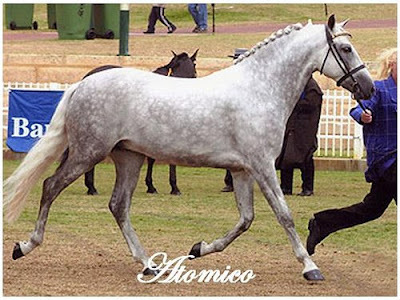 but I'm certainly not as fancy as an andalusian I think. 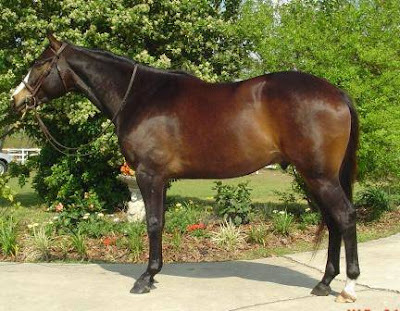 However if I were to label myself I would probably say that I'm an appendix quarter horse. I'm athletic, highly competitive and love to do things fast. I love games but can also get high strung and a little crazy. I am also hard working and reliable. I know my place and job in life and stick to whetever I put my mind to. I'm not really skinny, but athletic in nature but can carry a few extra pounds without looking like a blob. I'm pretty status quo meaming I can get along with most people even if I don't reallyl like them. I can be stong minded but like to think that I'm also intelligent. All qualities that I believe an appendix holds. I myself like appendixes. You have the speed of both the QH and the TB. A little more refined than a straight up TB but some bulk and muscle. Can get a little crazy but likes to play and go fast. 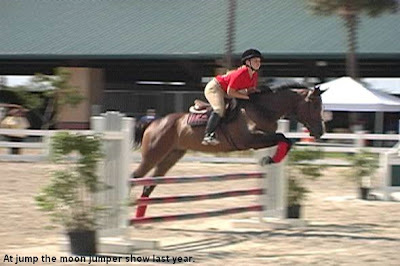 Typically good jumpers and can calm down when necessary. Below are a few examples of what an appendix means to me. Sporty but not fancy. Usually well put together if bred right. Pretty sounds mind, likes to have fun, very game, can get hot. Not too small with usually a decent price tag. 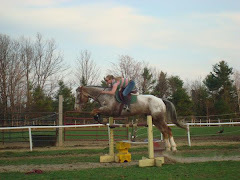 The all around horse to me that you can do anything with and have fun. So what do you all think you are without taking some stupid test and just based on your knowledge of the breeds? 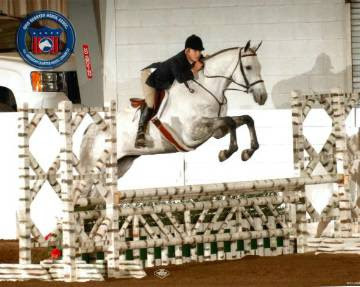 I'm pretty sure I'm a overweight grade pony with lameness issues. Poor me! Ah amendment to above comment - took A quiz I'm a shetland see told ya! 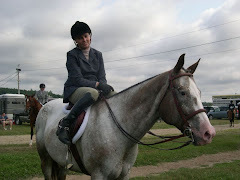 LOL Dear Husband and I decided I would be a Percheron / TB cross. I am big, and strong, and can work most other dudes into the ground all day long. I can carry the heavy load, and not complain. BUT. I am picky, and fussy, and want things done in specific ways, and very much like a TB mare we once were owned by. I don't have that much knowledge, but I have to say, Poco and I are a lot alike in ways that are too embarrassing to enumerate! Just based on his characteristics & personality, we think he may be an Appy/Percheron cross. To add a little Canadian flavour, I would pick the Newfoundland pony. (From wikipedia)The Newfoundland pony is a breed of pony originating in Newfoundland formerly used as a beast of burden. 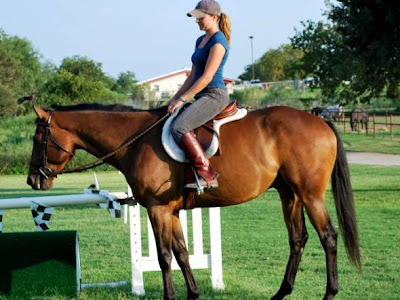 It was considered the all purpose pony, in large part because it has several desirable characteristics: stamina, strength, intelligence, courage, obedience, willingness, and common sense. Newfoundland ponies are generally hard workers and easy keepers. I sure feel like a beast of burden sometimes - work, cleaning the house, step-kids, work! hahahaha.